While there are lots of great places in and around San Jose to enjoy your after hours, one place has decided to take an approach that, while not necessarily new or original, is a stand out among the sea of bars and restaurants all over Downtown San Jose. 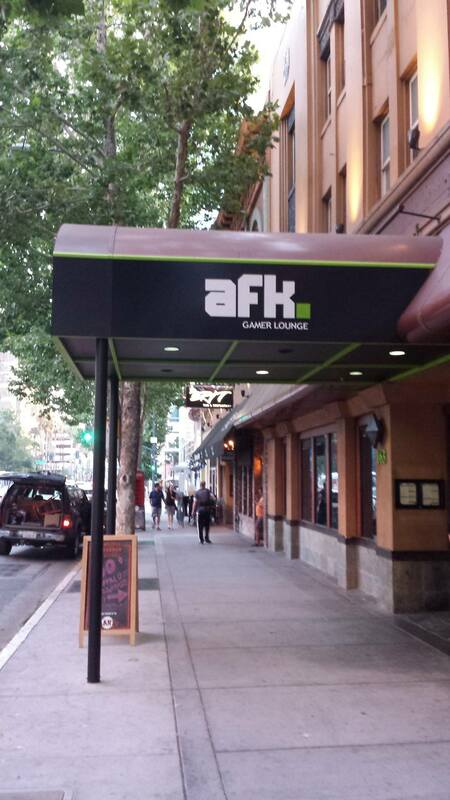 Afk Gamer lounge (or “Away From Keyboard” for those of you unfamiliar with the lingo) fulfills a need that appears to have been overlooked by many restauranteurs, a place for gamers of all aptitudes and interest levels to meet and relax. Of course, what game night isn’t complete without food. Granted, the offerings here are pretty standard American fare; none of them are particularly unique, but reading the menu, I must give them credit for their foresight as most of the items are geared to being shared by a large group playing video games. I gave a few of their appetizers a try, the two that stood out to me the most were the Homemade Mac and cheese and the Vice City Sliders (named after the Grand Theft Auto Game). The mac and cheese itself was pretty straightforward in its presentation, but it was creamy and cheesy. 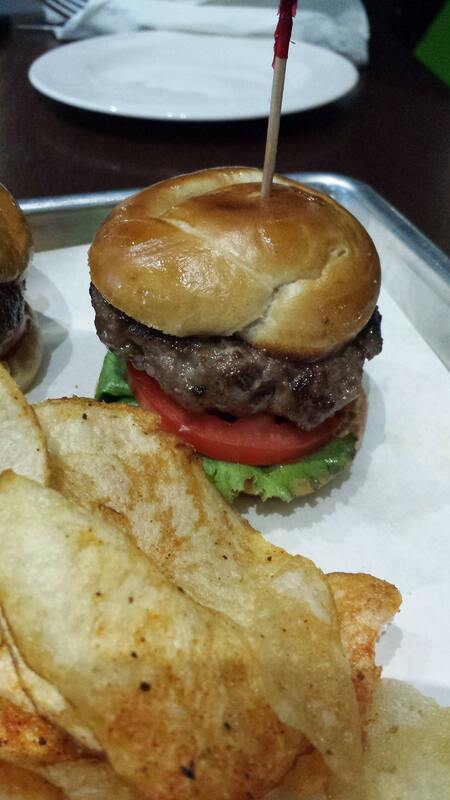 The Vice City Sliders were juicy and moist, sandwiched between a soft pretzel bun and their special sauce. They also came with a side of house made potato chips, which were fresh and well seasoned, (in other words, addictive). 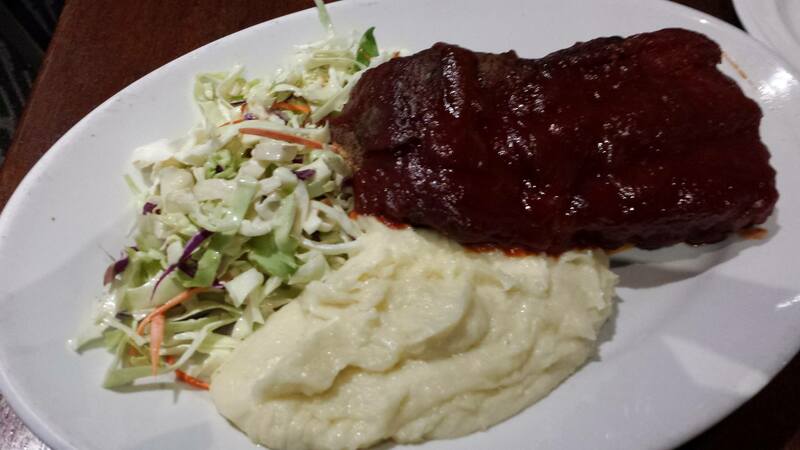 For the main course, I went with the Ribs, along with a side of coleslaw and mashed potatoes. The rack of ribs was soft, juicy and fell right off the bones and had a pretty decent sauce to go with them. While the mashed potatoes were great, the cabbage in the coleslaw was a bit too bitter for my liking, and so it stayed on the plate. After all those appetizers, I wasn’t able to finish my ribs, but man were they delicious. Now, if you were wondering, on my first visit, I was able to get some Smash Brother’s time (The N64 version, the only one that matters in my opinion). I know the question lingers though; Why would anyone who could easily recreate this experience at home want to go out to a place like this? To me, it was the passion around something, in this case gaming, and finding individuals who share that passion makes almost any place feel special. 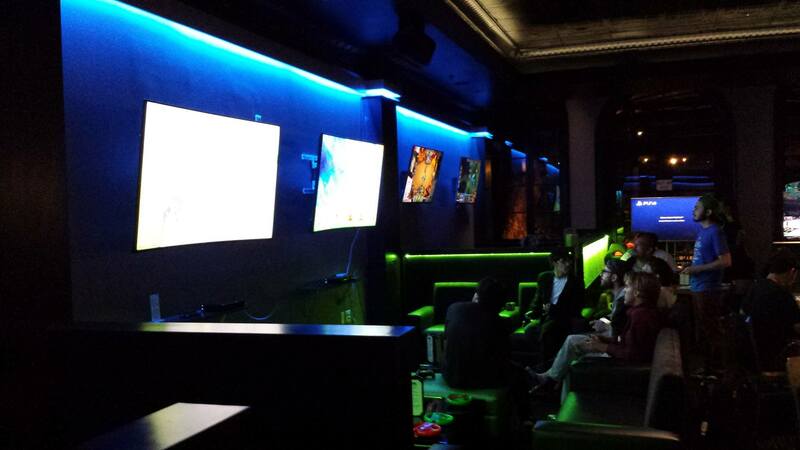 Overall, AFK is a great place for games, food and drink and a bit of camaraderie amongst your fellow video game enthusiasts here in the South Bay. 163 W. Santa Clara St.